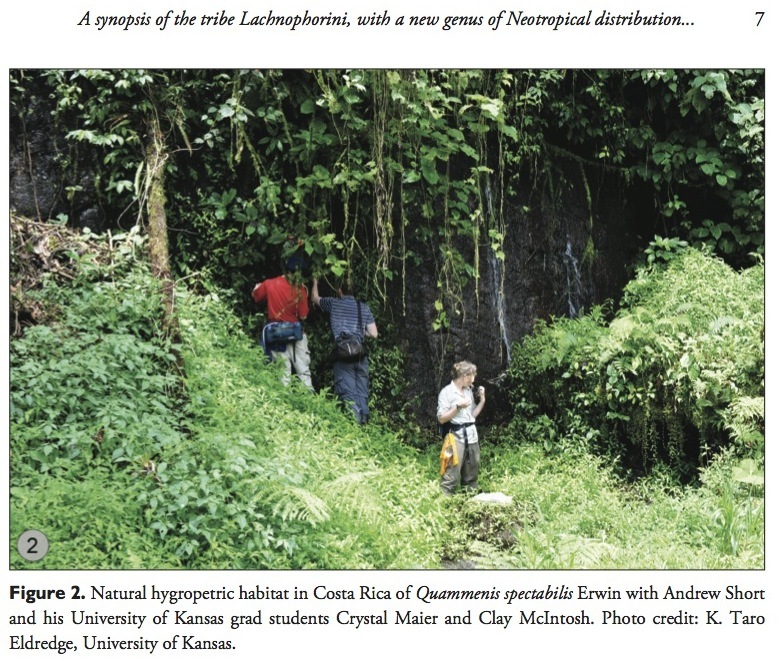 A new study by Erwin and Zamorano reviews the Neotrpical Lachnophorini, which includes the enigmatic species pictured below. The image was taken by myself on our lab trip to Costa Rica. 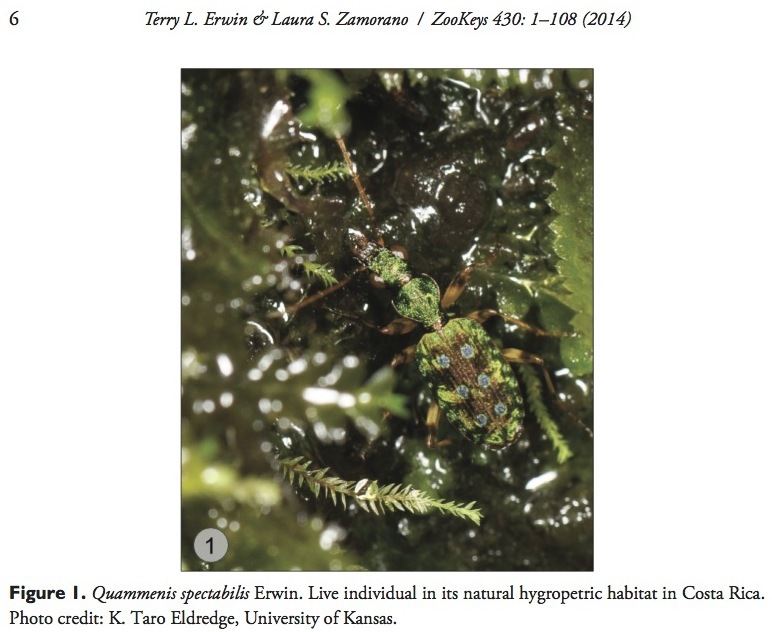 We were all collecting on a rock face seep for hydrophilids and I captured the imaging thinking, “oh, pretty carabid.” Later the image made its round to Terry and was able to contribute to his recent pub. Below, Andrew and Crystal are collecting at the seep. I doubt carabids were collected. 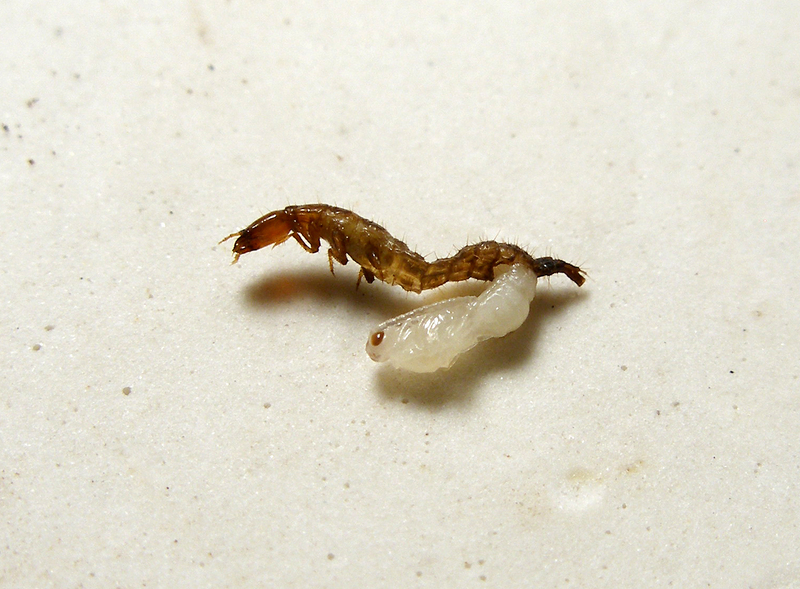 Rove beetles get parasitized too, just like everybody else. I haven’t looked at these images in a long time. 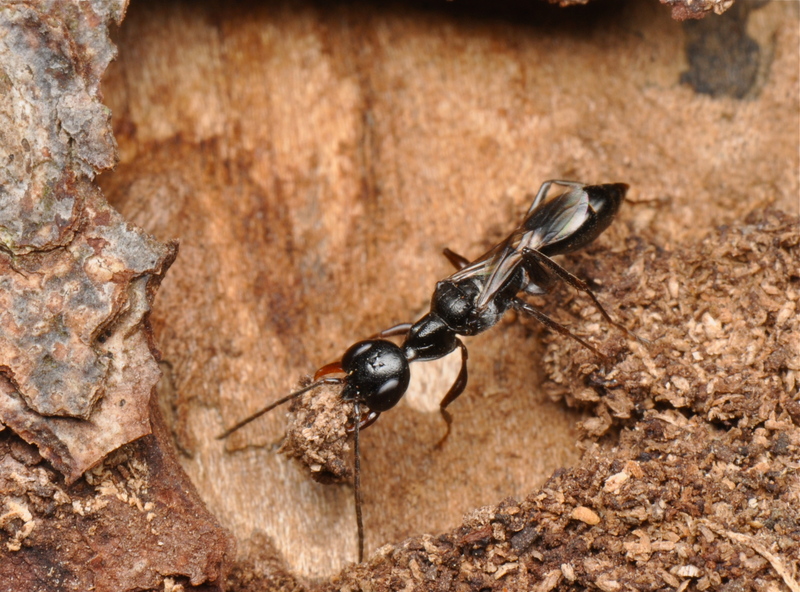 These are pictures of Exallonyx, staphylinid parasitizing Proctotrupidae wasps. I was into trying to rearing these out in college. I would find them by collecting third and final instar larvae in the spring and rearing them out to see if I got any wasps. You’ll see from the images bellow, but the number of individuals are host size dependent, and emerge in a characteristic manner. I’ve reared three species out on various occasions from 2007-2008 which I’ve uploaded bellow. The first two species emerged from Philonthus larvae and the third from a Platydracus (I’m guessing violaceous since I found it under bark). 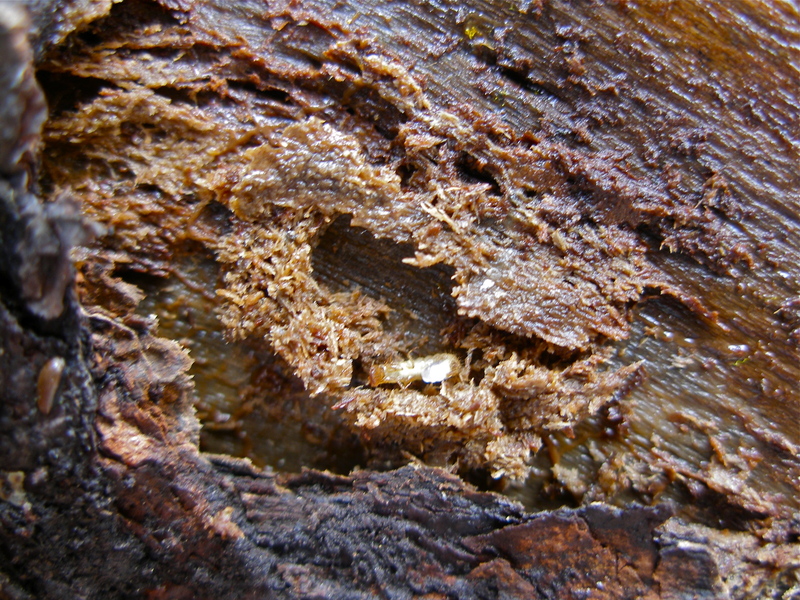 Philonthus pre-pupa in its chamber found under bark in early spring. 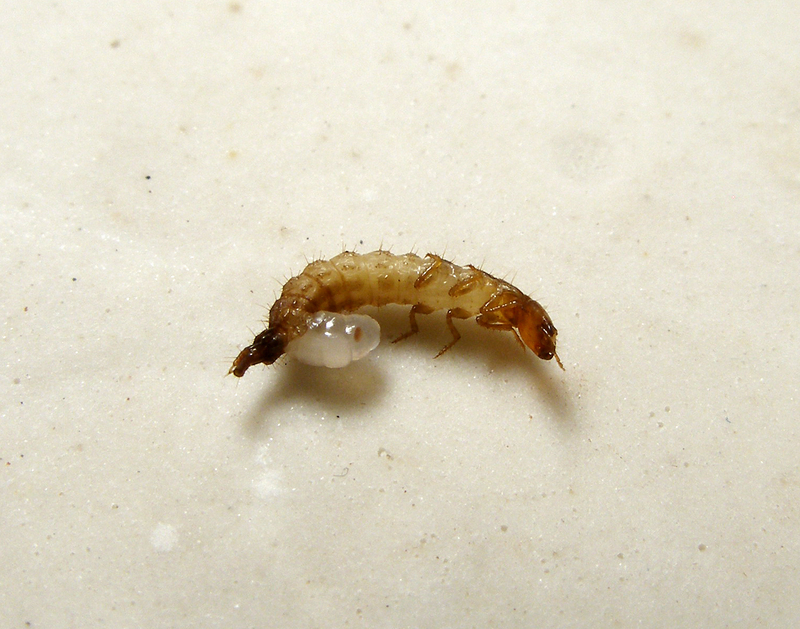 An Exallonyx larva emerges from the Philonthus pre-pupa. Collected 3 individuals from their own subcorticular Philonthus during a field trip to McLean Bogs for a class on insect larvae. Another Philonthus parasitizing Exallonyx sp. 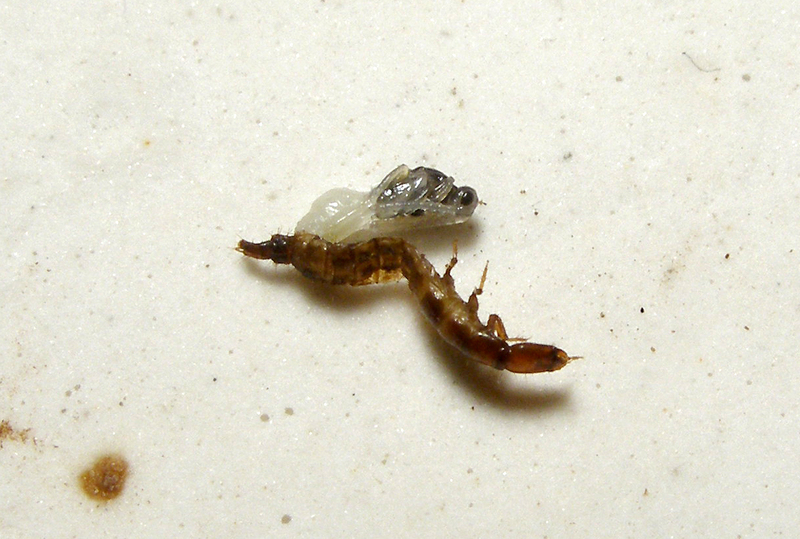 larva, exiting its host. Exallonyx sp. 2 pupates, leaving the Philonthus larva a husk. 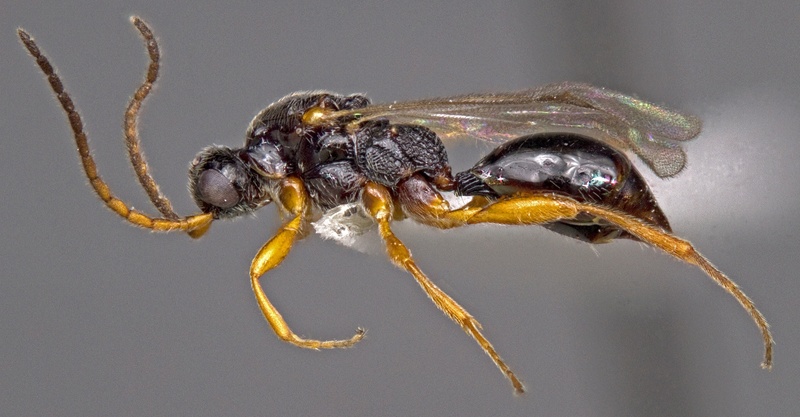 Exallonyx sp. 2 pupa begins to darken. A second species of Exallonyx from another Philonthus at Six Mile Creek, Ithaca, my old hunting ground. A closeup of Exallonyx sp. 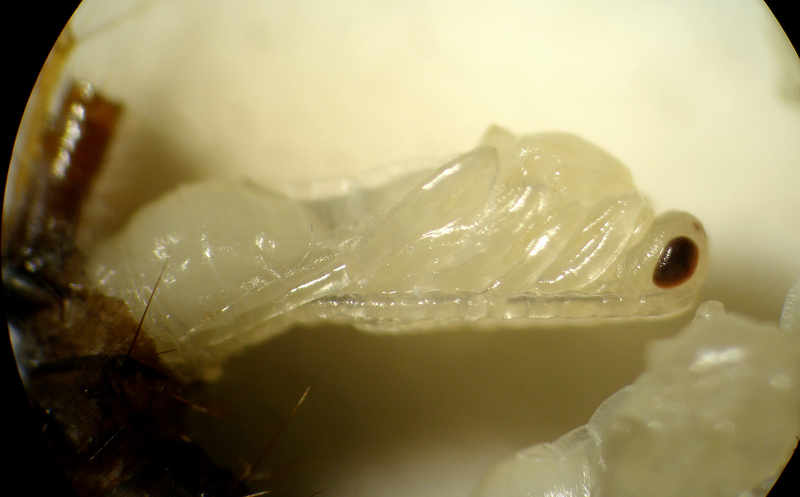 3 reveals the larva’s minute mandibles and a vague eye spot. All in a row, Exallonyx sp. 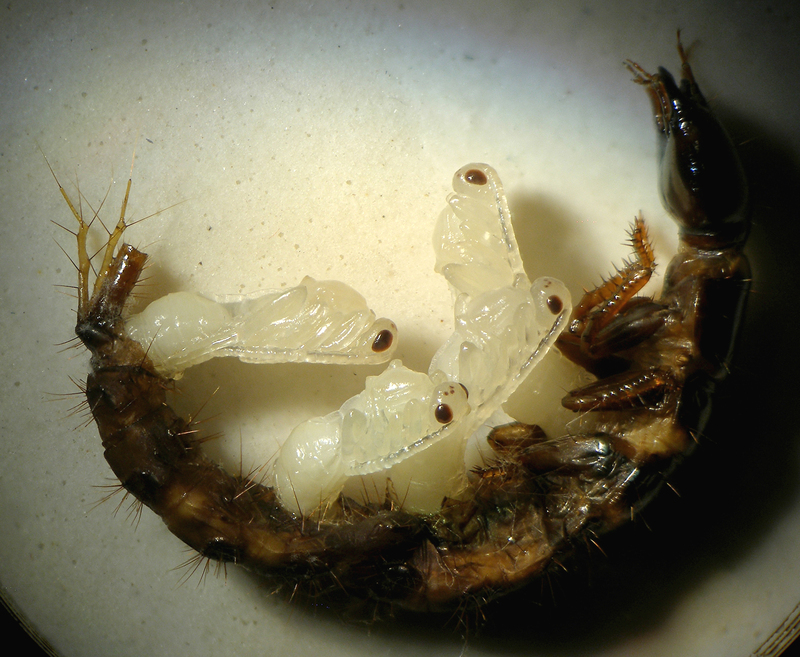 3 pupae. I think this is Platydracus violaceous, the larva was under bark at Six Mile Creek. Unlike Philonthus, this large larva can house multiple individuals of Exallonyx. The larvae all emerge synchronously and orient themselves in the same manner, most notable once they have pupated. 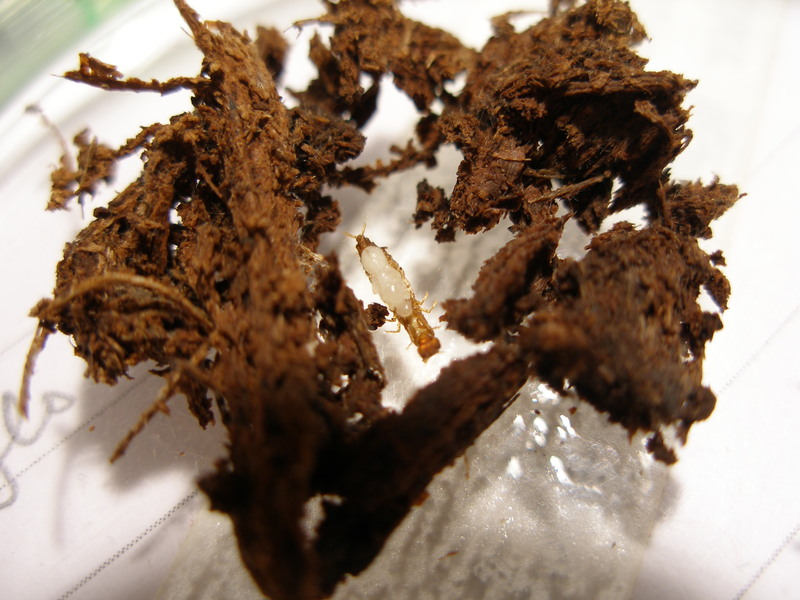 In 2007, I was also able to rear out a Brachonidae from Sepedophilous to pupation, but the adult never successfully emerged. 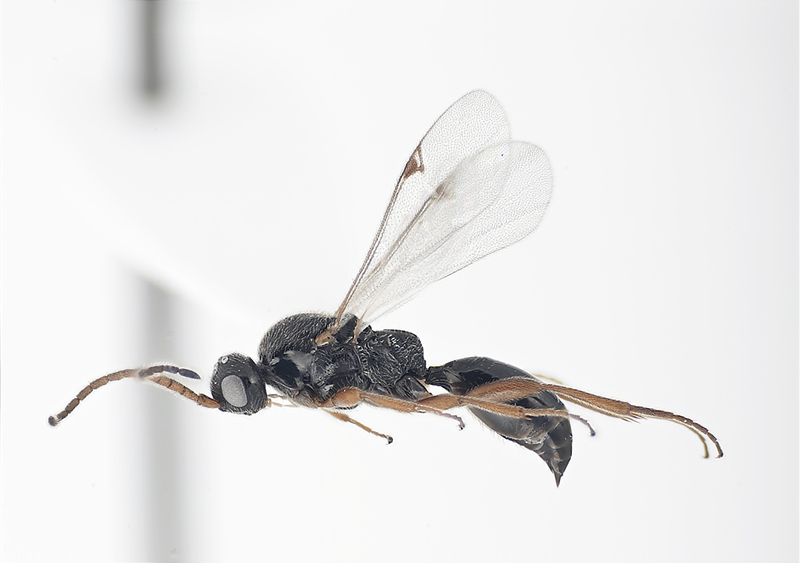 This was unfortunate, since this would have been the first documentation of Brachonidae parasitizing a staphylinid. Some notable species of the diverse genus Eleodes from our trip to Texas this past summer. 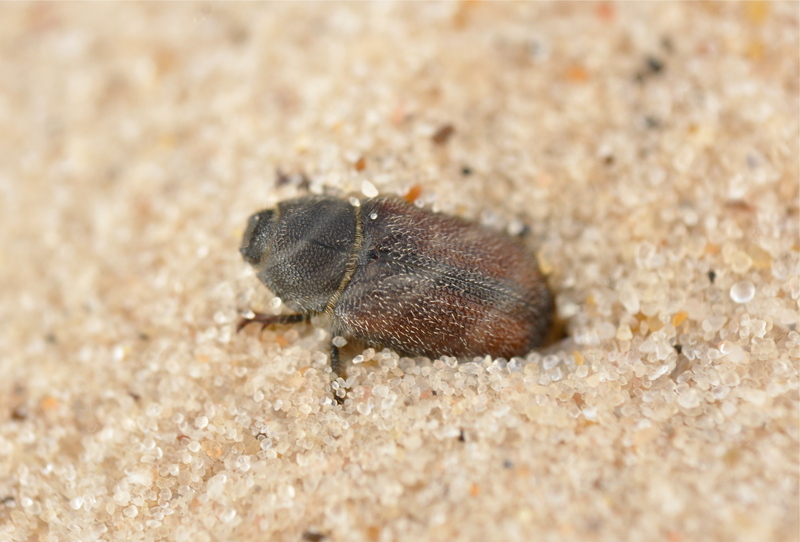 This first species is Eleodes veterator, a coastal dune inhabiting species. If you’re familiar with what Eleodes species typically look like, this is an oddball: flattened and fuzzy, it’s actually kinda cute. 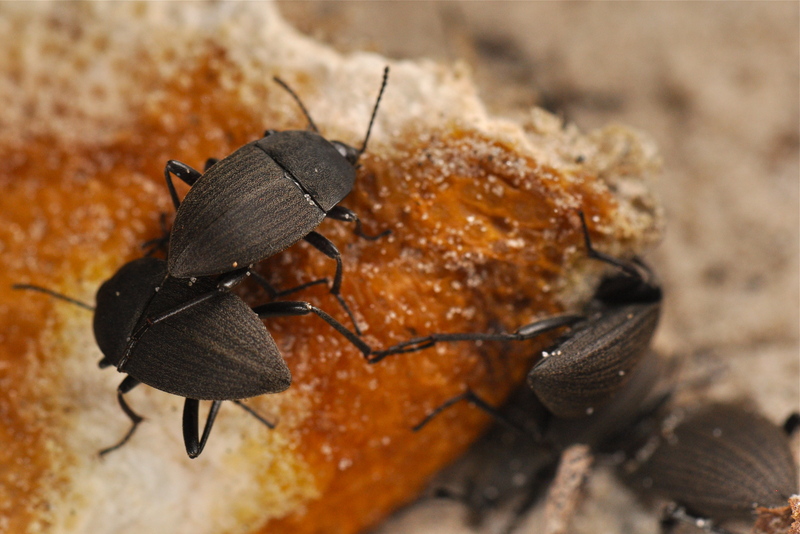 These individuals are taking advantage of some messy campers by feeding on an old lemon rind. 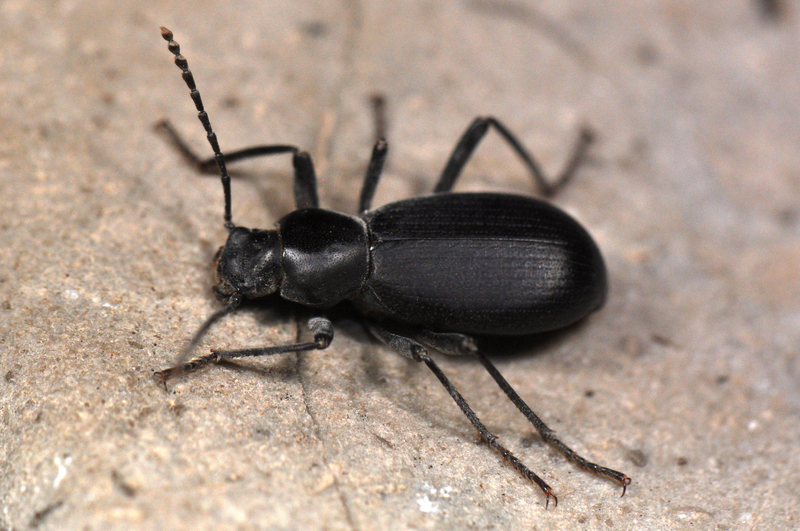 The second species is an elusive species, Eleodes labialis, previously only known from the two original type specimens. A species presumably adapted to living between boulders and within the crevices along canyon walls of the Rio Grande, it sports rather long antennae and legs for the genus. I guess you could argue the eyes are slightly smaller then what you would expect for an Eleodes of this size. From a Texas trip with Kojun and James. A nice find at the dunes. Here, a female tolerates the gusting wind awaiting a male at dawn. I was inspired by AntRoom’s post on rearing the emerald cockroach wasp, so I set out to find our North American local Ampulex. I saw this female carrying a juvenile roach up a tree by its antennae (very typical), but failed to get my camera ready in time. Fortunately, I was able to grab a couple shots of her carrying debris back to her nest which she uses to plug up the entrance. 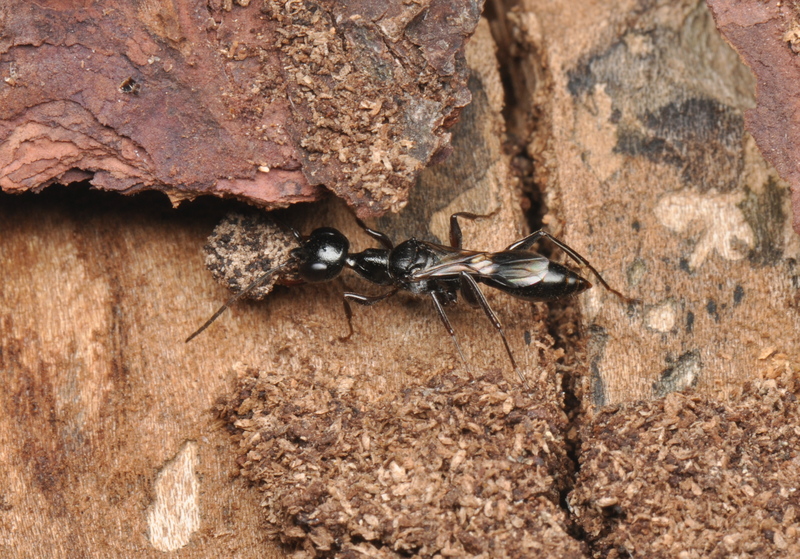 A female Ampulex canaliculata carries debris back to her nest. 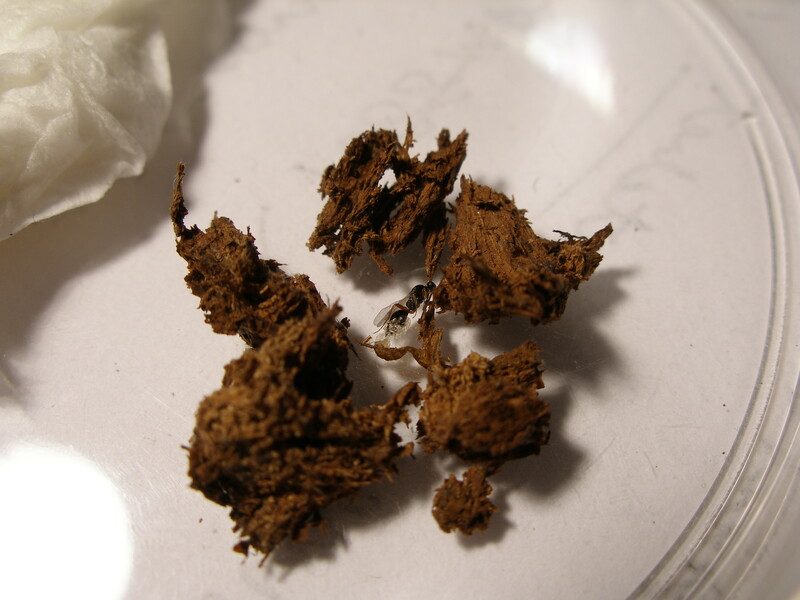 Her and other individuals were nesting in holes made by wood boring beetles and debris for blocking the entrance could be found nearby by collecting frass generated by the same wood boring beetles.